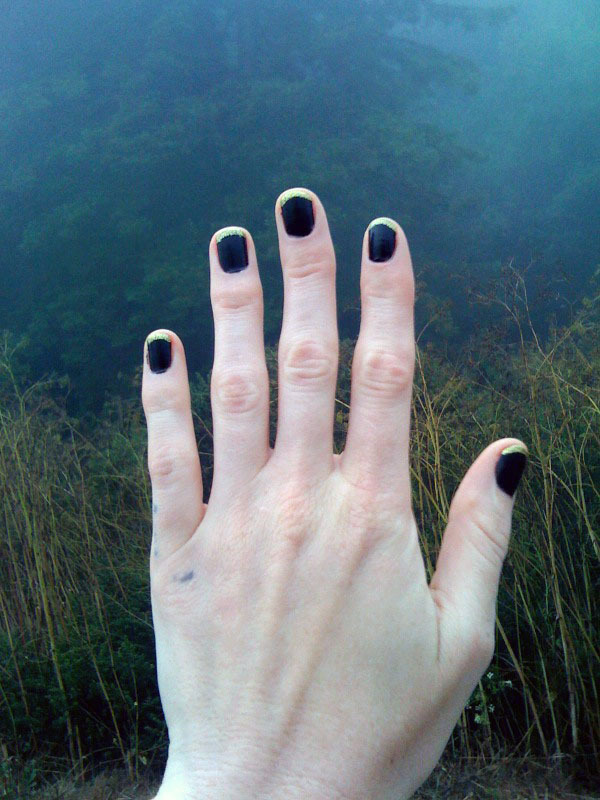 BLACK WITH GOLD TIPS — CLAFLIN, THAYER & CO.Claflin, Thayer & Co.
Black and gold is a combo that never fails me. 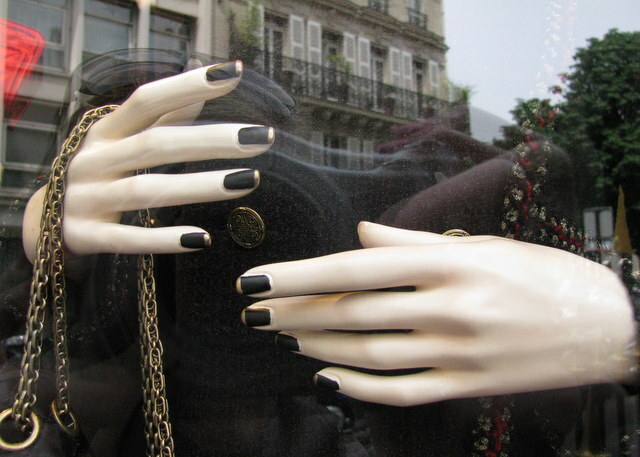 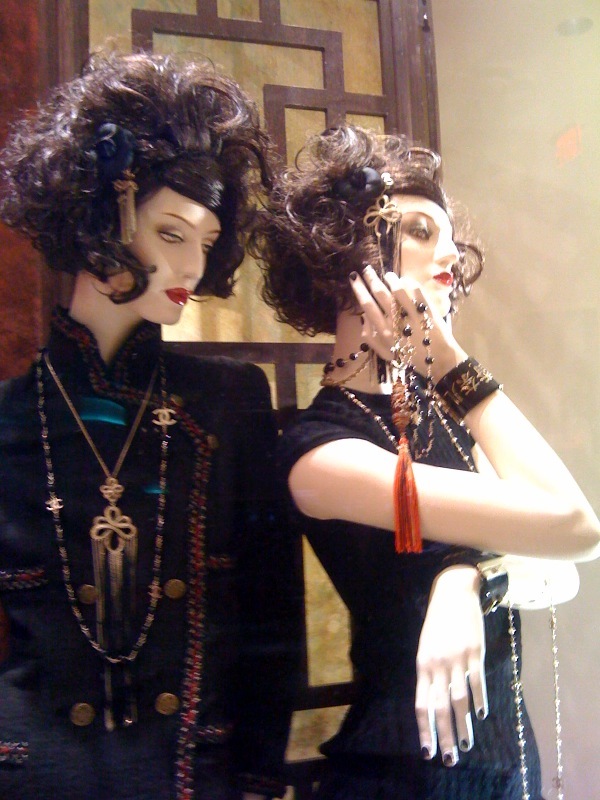 I saw these nails on the Chanel mannequins in the window of the Las Vegas shop - black with gold tips. 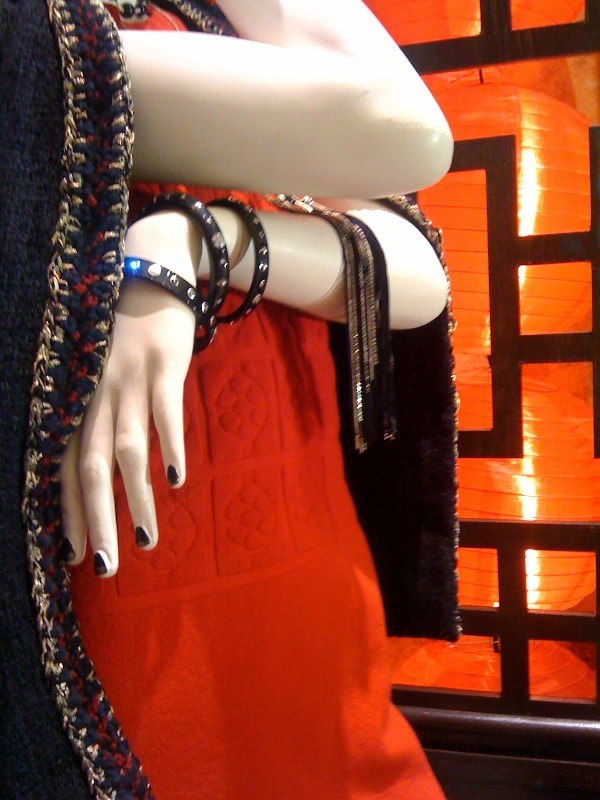 I did my own version which inspired a corresponding bag in black leather with metallic gold trim.